news The Australian Tax Office (ATO) has announced that its legacy online tax return service e-tax is being retired, with the MyTax portal to take its place going forward. The ATO’s Assistant Commissioner for Individual Taxpayers Graham Whyte said the ATO had replaced e-tax for Tax Time 2016 with myTax, which has been “upgraded and improved” since last year. As an example, Whyte said that Australians with rental properties will be able to use myTax this year, and they will also be able to take advantage of the “fully integrated tools and calculators”. “One of these new tools allows property investors to record depreciation and capital allowances,” he added. First launched in 2014, myTax reduces the time and effort required to lodge a tax return compared with traditional methods. According to the ATO, the system is “safe and secure”, and can be accessed on any smartphone, tablet or computer. The 1.75 million tax returns made via MyTax in 2015 marked a 70% increase in the number of people using the portal, the tax office said. “Over the past few years, we’ve been seeing around three million Australians prepare their own tax return using either myTax or e-tax, so we’re hoping to see three million myTax lodgments in 2016,” Whyte said. “We understand sometimes it can be hard to change habits, especially for those who have been using e-tax since its launch in 1999. What we would say to those who are a bit unsure about myTax is to give it a go: you’ll probably have your tax return lodged in a fraction of the time,” said the Assistant Commissioner. Whyte further suggested that, while myTax is a useful tool for people wanting to file their own tax return, around 74% of Australians seek the assistance of a tax agent to help with this process. 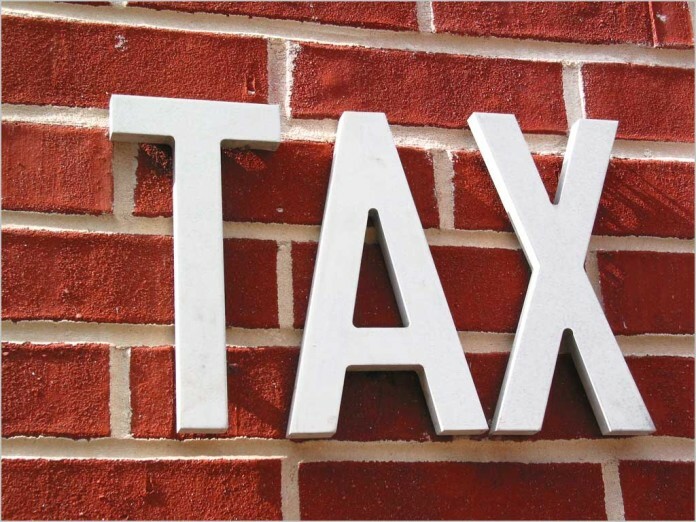 “For anyone thinking about using a tax agent for the first time or a different one to last year, it is important to contact them before the end of October to meet their lodgement dates,” said Whyte. Whyte stressed the importance of ensuring that only registered tax agents are employed for this purpose. “Only a registered tax agent can charge a fee for doing your tax return. A list of registered tax agents is available on the Tax Practitioners Board website,” he advised. Let’s hope it’s up to the task this year. Last year it took about a week before it became usable. Not much fun trying to enter your tax return when the site takes minutes for each page and the random timeouts. It was a technical snafu last year. When they turned it on someone forgot to switch on the switching software, so it was all going through one server rather than the 20 or so (or whatever the amount was) it should have. So it basically created a self DDOS situation. What annoyed me with MyTax is that it didnt include some basic deductions that a large amount of people would have (ie income protection), which meant you needed a supplementary return, and hence needed to use eTax. That was a flaw in the ATO setup though, not the software. As it was, eTax did a job, and did it well. It was worlds best practice for a long time, but the world has moved on. It should be remembered well in its retirement, it was one of the truly innovative uses of technology when it was launched. Until then very few Govt departments had used technology to such a level, and certainly not for such an important role. Yes, didn’t notice the income protection, mine is done through my super. I must admit, I didn’t mind eTax, but I could see how it would be harder for someone less computer literate. Edit: Just thought, did you mean you receive income from your income protection insurance or claim the premiums as a deduction? Claim as a deduction. Because of how its classified, it falls into a supplementary part of the return, which MyTax didnt handle. So it meant I needed to use eTax (and the supplementary section) for just one question about a fairly common tax deduction. Was a (fairly minor) gripe I had for a number of years, and not about MyTax specifically. The question should have been part of the normal return, not hidden away in a supplementary section. I’ve been arguing with ato for a couple of years, as to why basic centerlink pensioners had to use the over bloated and dreadfully complicated etax instead of my tax. It was ridiculous..My wife still works, has super stream , investment etc, yet she could use my tax. Damnit, looks like I’ll have to wait to submit my return this year – I don’t trust them to get this right for at least a few weeks. £@#&ing muppets. Have they locked it down I wonder, at least done exploit testing ? They failed to do that with MyGov of course. Can it even scale is it still backed with faulty Liberal copper where only one user can use it at a time ? Can it be used on anything but Windows ? I mean still the business portal can only work on Windows and it won’t even work in IE Edge. It requires IE11 on Windows 10 or Firefox. I bet they only test for IE11. Interesting. Just got a letter from Centrelink telling me if I don’t file my taxes by June 30 I’ll have to pay back all the Family Benefits we received last year. How does this work? How could they be done by June 30th when that day needs to be included in the total? I’ve used Etax for years and loved it. This Mytax is the most unintuitive load of crap I have ever come across. I don’t consider myself totally stupid but am at the point where my computer is about to go out the window. Whoever designed this programme should be lined up against a wall and shot. I’m with you, Brian, mytax is a load of crap. Behind closed doors, it calculates your tax offsets but does not display them. I wish that they would bring back e-tax. At least you could see what’s going on with e-tax.